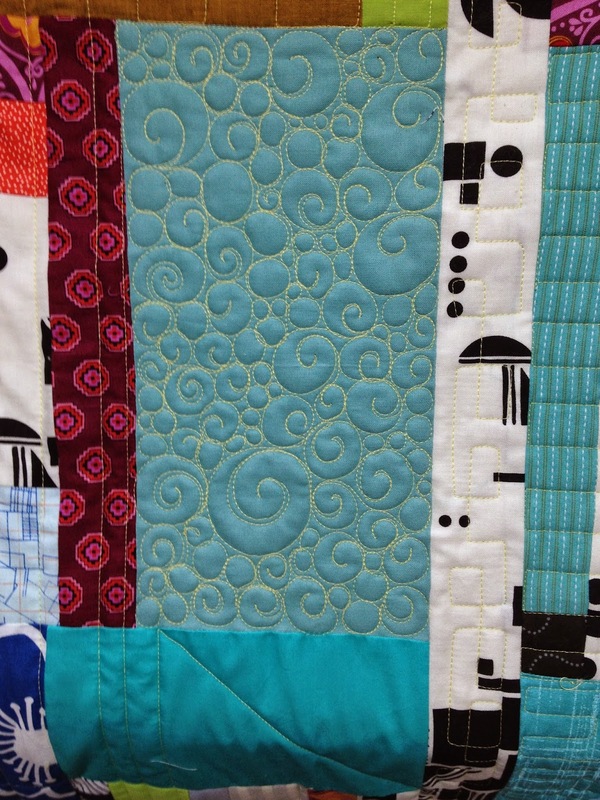 Urban Quiltworks: an end to 2014.. 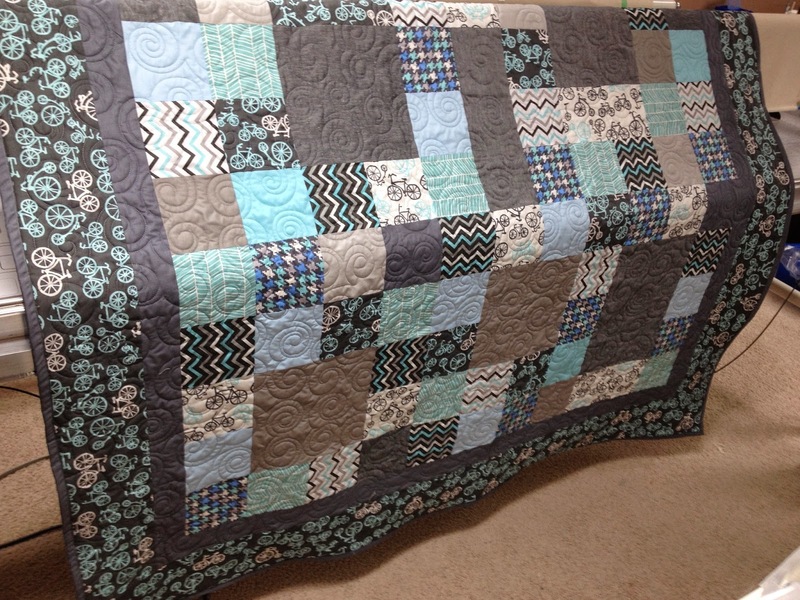 I worked with a client to create this double sized quilt of greys and blues. She really wanted the Michael Miller Bicycles fabric to be the showcase, but when we put all of the coordinating prints together it because a bit mushy mess of prints - so I added a few extra greys and it turned out great! This gorgeous quilt top came to me and I knew exactly what panto to use for it. 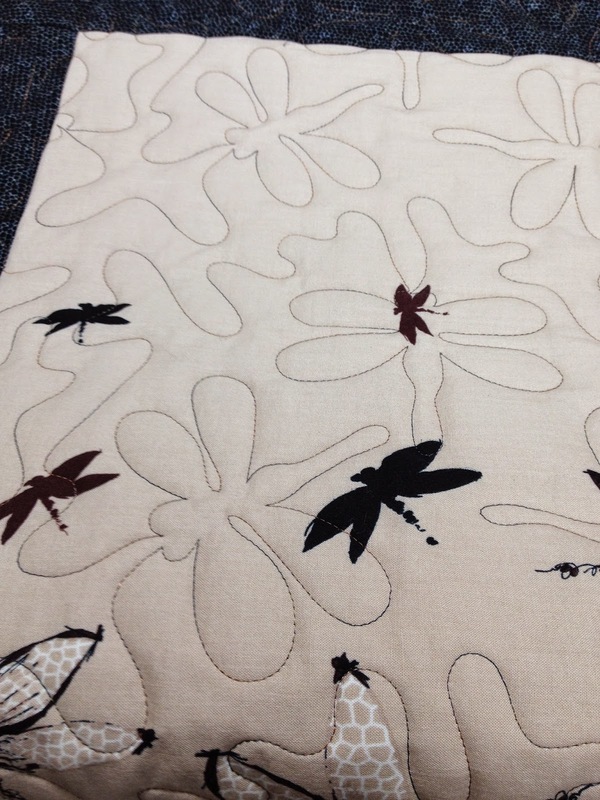 It had dragonflies on it and a gentle meander throughout. 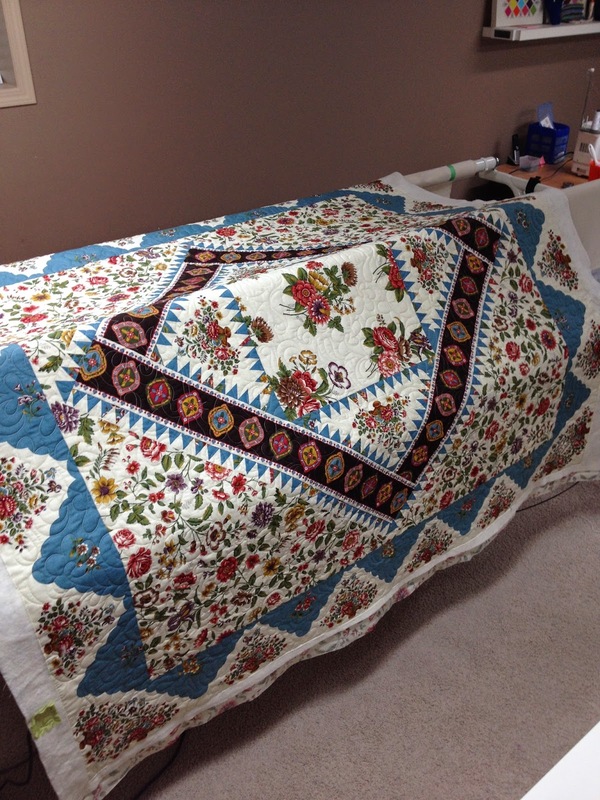 This blue quilt top was a definite 'before' and 'after' photo. I wish I had the before! 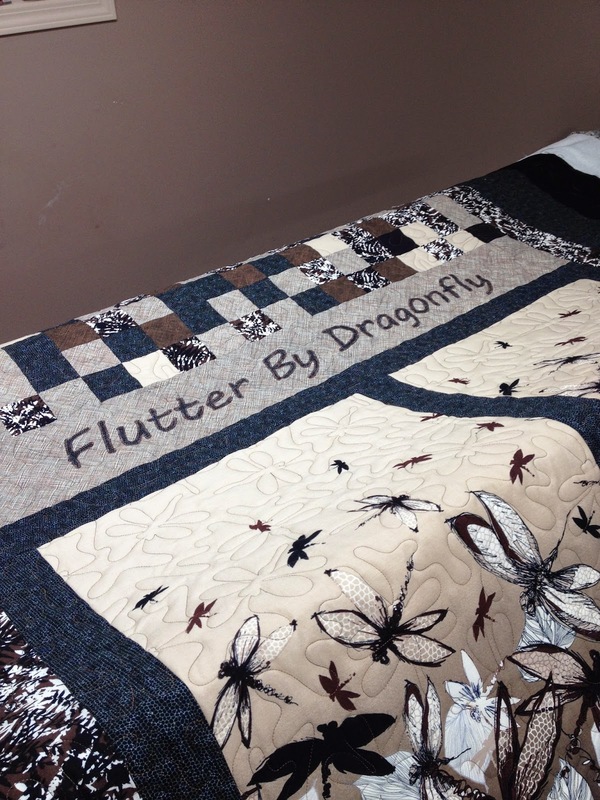 The quilting really made it sing. I used the Spring Garland pantograph, and just the extra texture and movement in the design helped to give the top more dimension. 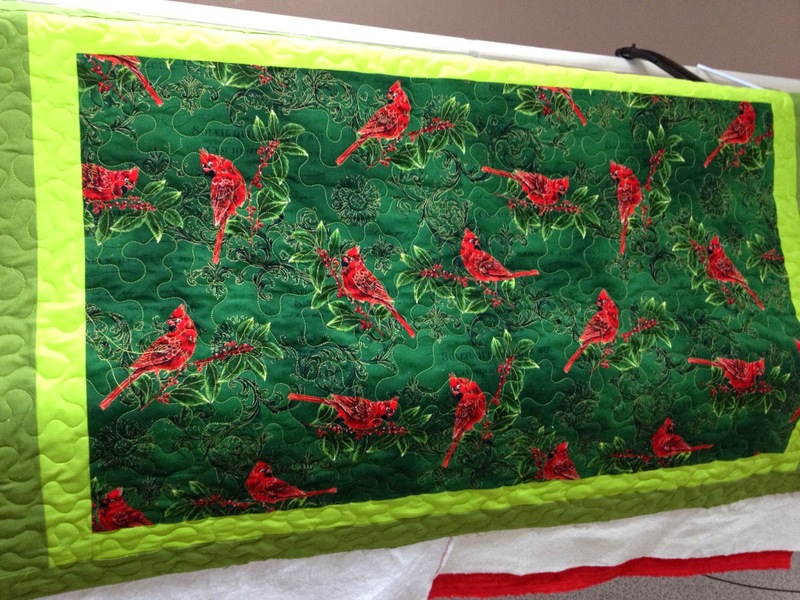 A very simple quilt top - featuring a beautiful Christmas print. I knew the perfect thread to go with this, a metallic lime green thread. A simple meander was all it needed. This one was so fun to work on. I felt like it was a sketchbook for me to unleash my ideas upon. 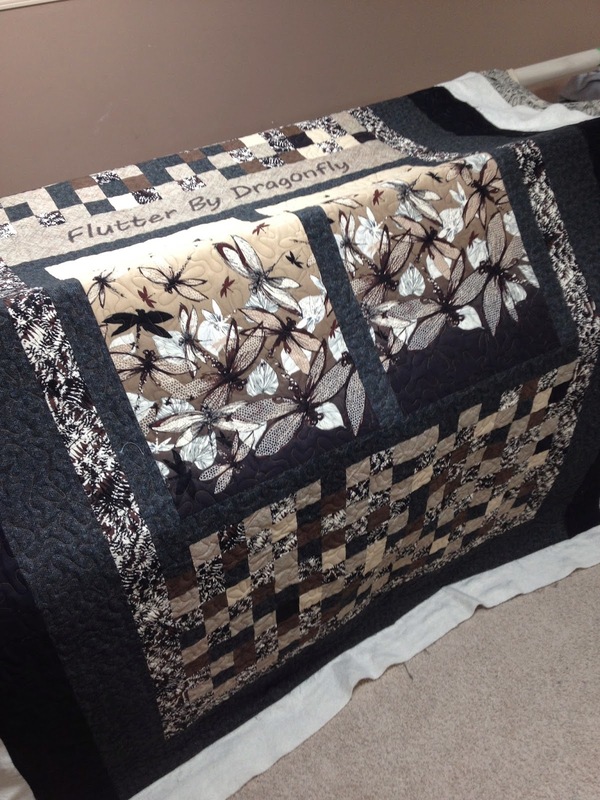 A beautiful triangle quilt made of all voile fabrics. Voile fabric is light and thin cotton - and is on my list of things to make for next summer. 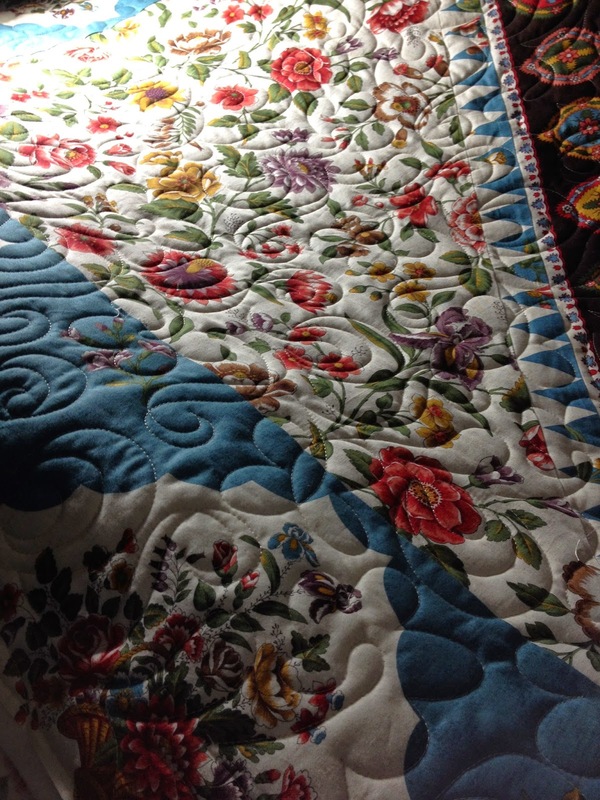 The quilt is so light and airy. I used the Filigree Panto on this one. I have been so busy that I have forgotten to take photos as I go. This is wrong wrong wrong!!! This will improve!!! Also - more frequent blog posts will come. I am more frequently on Instagram posting photos of work in progress. It seems so much easier and quicker. I can't even begin to tell you that I have not been reading blogs lately either. I am trying to balance technology vs my needs vs family vs happiness vs keeping up with the (quilting) Jones'. oh yes, and let's squeeze in some exercise time there too. Another blog post for that one. 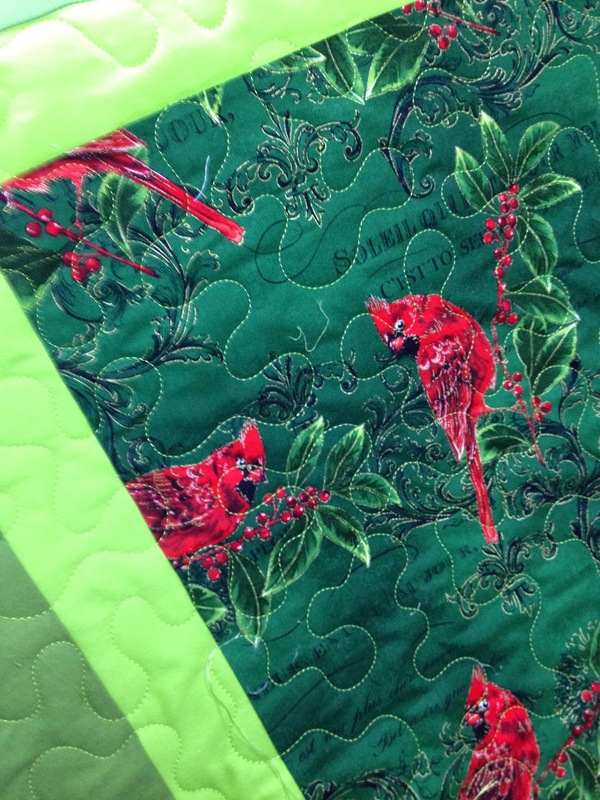 Wow...your quilting has come on so much. I need to find you on IG! 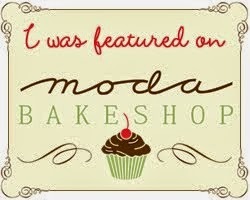 Just found your blog, and love your work!